Did you ever think you would hear those two words in the same sentence? The combination was truly a thing of beauty when designed by the always amazing Charles Faudree for the Cashiers North Carolina Designer Showhouse. The rustic log room with stone floors was decorated as a French inspired office. 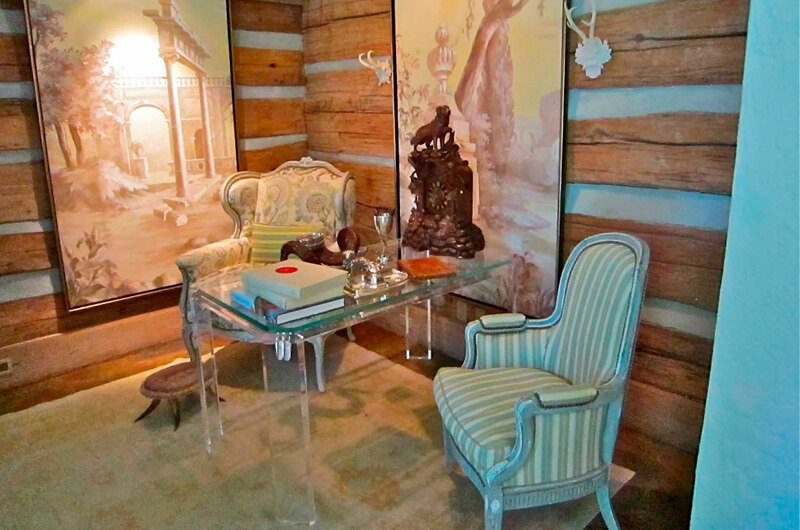 Mr. Faudree used a Lucite desk to visually lighten the room and let the Art and log walls be the ‘stars’ of this awesome room. 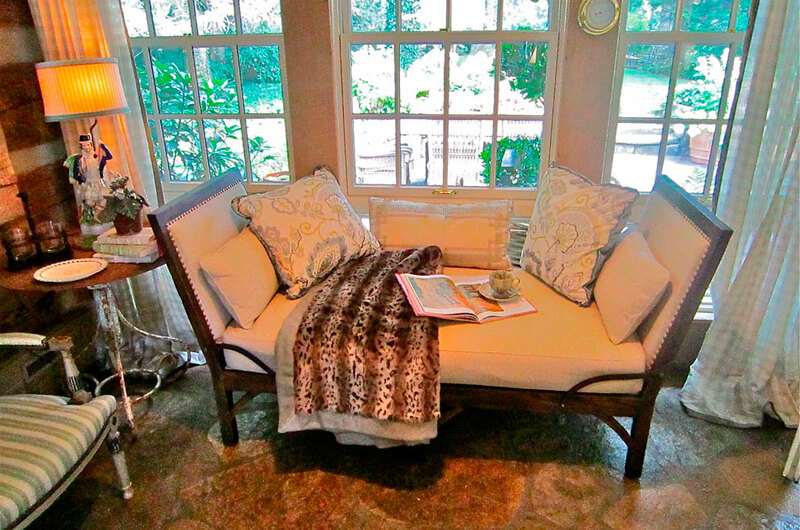 I love that he included a small sitting area in this space–just the perfect place for coffee in the morning or a glass of wine after the day’s work is done. These panels are the stars of this room. I would love to work here. 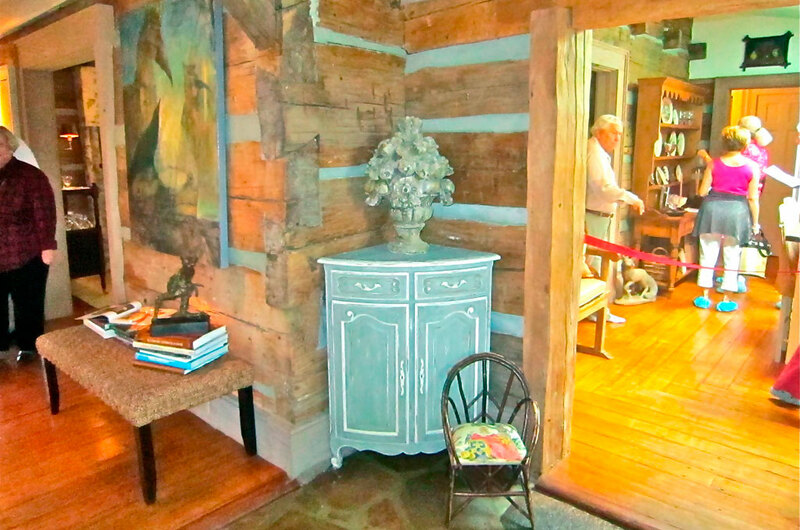 Small French chest used in this awkward corner–so unexpected! Checked draperies, a linen loveseat ,a Staffordshire lamp and stone floors–perfection! 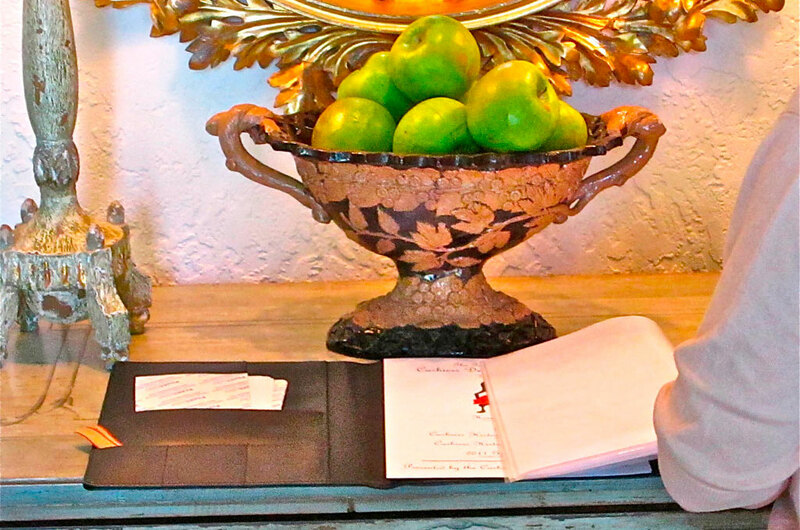 I love this antique French urn used on the Entry table–yes please! Mix a piece of contemporary furniture with antiques for a totally unique look! I went home and rearranged my furniture after visiting this house. Will you? Love the logs! You are the best! Your pictures are the highlight of my week! Thank you Lissy!